1. In a medium bowl, stir the flour, oats, baking soda, salt, nutmeg and cinnamon. Add the raisins (if using) and stir to combine. Set aside. 2. Cream the butter and sugars together until light and fluffy (this will take 10 minutes with a hand mixer and 5 minutes with a stand mixer). Be sure to scrap the sides of the bowl as you mix. Beat in the eggs until combined. 3. Add the flour mixture to the butter-sugar mixture and mix by hand until the flour mixture is fully incorporated. 4. For best results, cover the bowl with plastic wrap and place in the refrigerator overnight (or at least 3 – 4 hours). 5. When ready to bake, preheat the oven to 175C (350F). Line a baking tray with baking paper. Roll the cookie dough into walnut sized balls and place on prepared tray (space cookies 2 inches apart). Flatten each ball slightly. 6. Baking cookies for 20 minutes or until they are golden brown on the edges and slightly soft in the center. 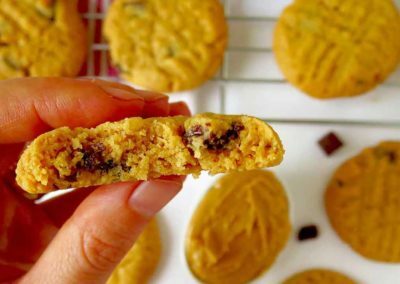 Be careful not to overbake, as these cookies continue cooking slightly as they cool. Leave cookies to cool on tray for 5 minutes or so then transfer to a cooling rack. 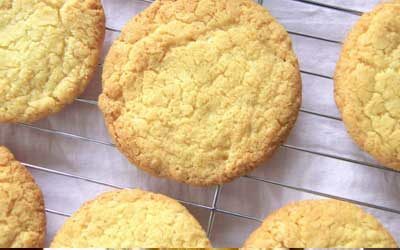 * These cookies can be stored in an airtight container at room temperature or up to 3 days. The unbaked dough can be stored in the fridge for up to a week or frozen for up to 3 months. 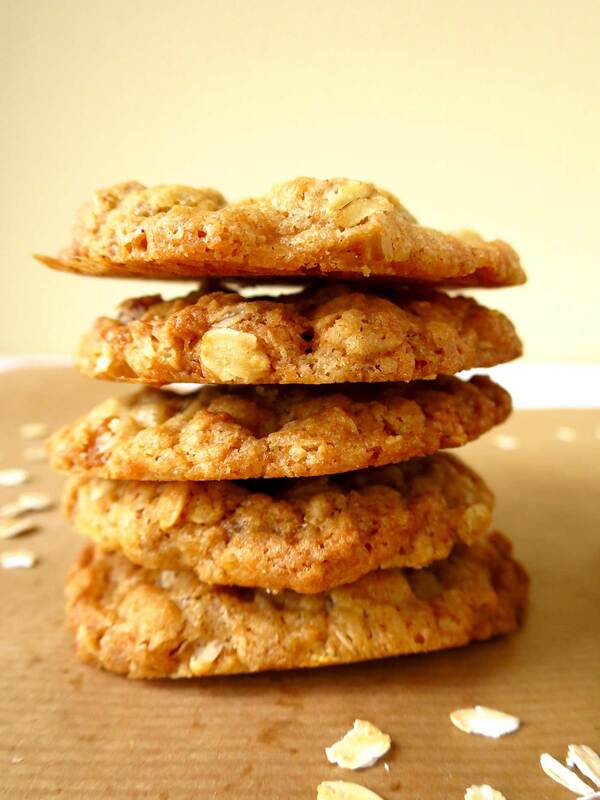 The soft and chewy centers of these cookies make them my favourite oatmeal cookies of all time. How are you? Well, I hope. We made it back to New Zealand safe and sound! It’s both so strange and wonderful to be back and I can’t stop gawking at this little town’s beauty (we’re in Nelson, which is at the top of the south Island). Even though I grew up here I have a whole new appreciation for it. We’ve been spending the last two days trying to get over jet lag my morning starts at 4am and sorting out bank accounts, phones, etc. etc. We’ll be settled before we know it, I hope! I apologise again for posting so late this week, I had plans to write to you whilst on the plane but the internet wasn’t collaborating with me – sorry! 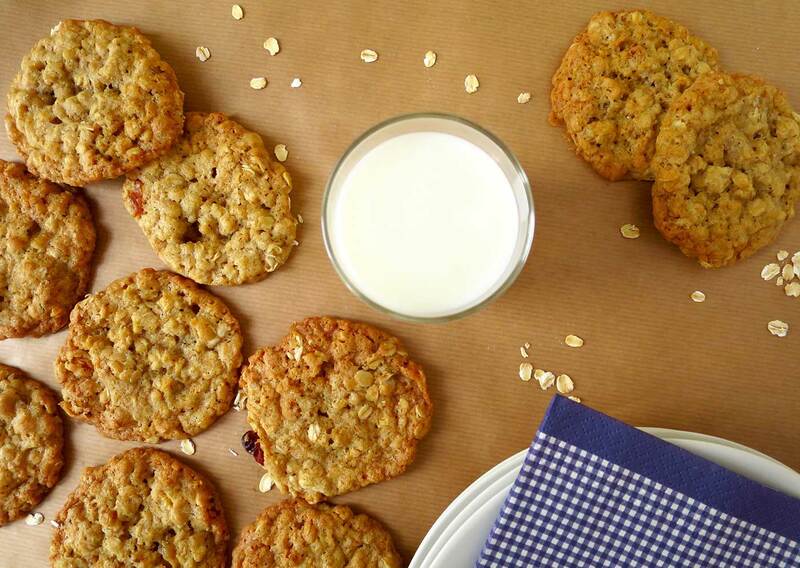 BUT to make up for it, I’m sharing my favourite oatmeal cookie recipe with you! 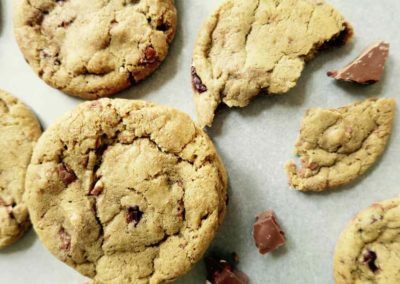 This recipe comes from Joanne Chang’s book, Flour (which I’ve mentioned before, here). 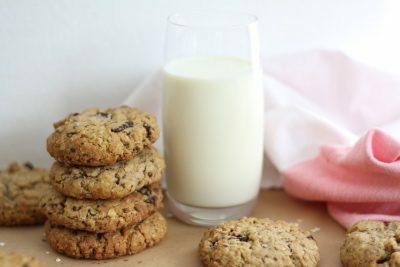 I truly love all of Joanne’s recipes and this one has won my test for my favourite oatmeal cookie of all time. 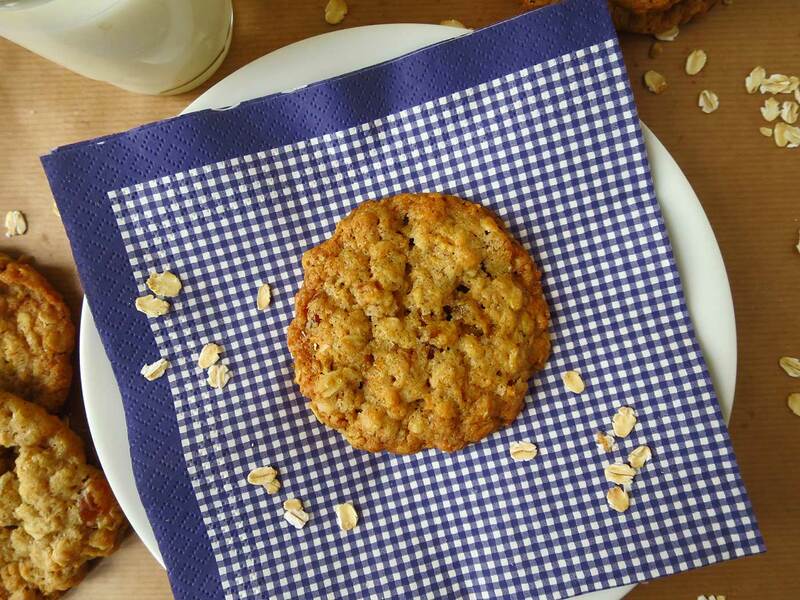 These oatmeal cookies are similar to anzac biscuits however no golden syrup or coconut is used which is a typical characteristic of anzacs. 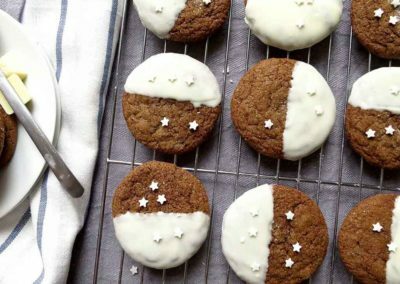 Instead, these cookies are packed with wholegrain oats (which makes us feel a lot better about eating them), raisins (optional) and a dash of nutmeg and cinnamon. 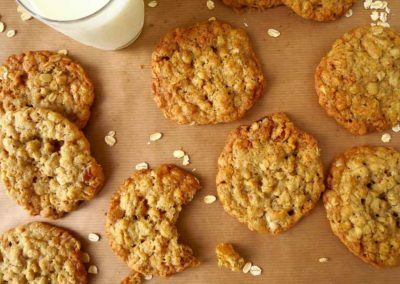 They are so chewy and flavoursome that I’m confident these will become your favourite oatmeal cookies too. 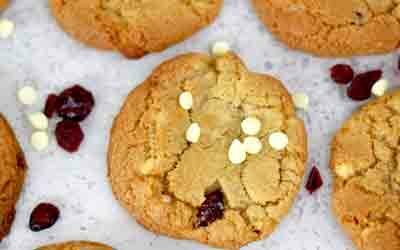 A bonus about these cookies is that they don’t require any special or fancy ingredients. 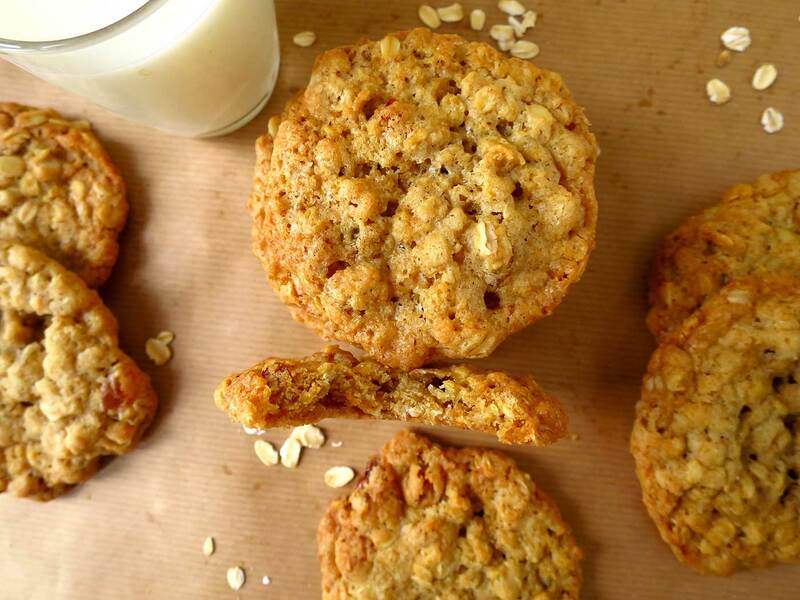 We’re sticking to the basics with this recipe and producing magic from flour, butter, sugar and oats. 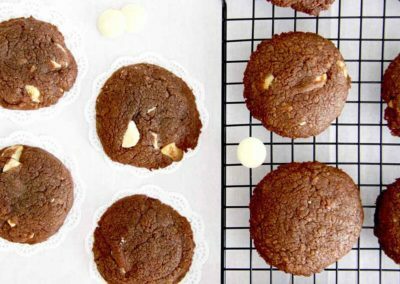 Do note that these cookies need some time in the fridge before baking. 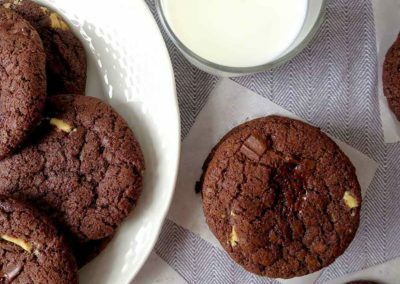 This helps to intensify the flavours as well as helping the cookies to have a fudgy chewy texture. By they way, have you ever suffered from jet lag before? If so, what are your tips for a speedy recovery?